In a recent blog post, we pointed out why and how wood-look stone floor tiles are superior to actual hardwood flooring. Today, we’ll help you to choose the wood-look stone that works best for the rooms you are re-imagining. There is a time and a place for every color and texture of wood-look stone tiles, it will all depend on your budget, tastes, and style choices. Using light toned wood-look stone tile is surprisingly easy. While not automatically the trendiest looks right now, light wood-look floor tiles have a timeless look that is frequently on-trend and can still be captivating, even when off-trend. The challenge with using a light tone for your floor tiles comes from the space you choose to use it and the exact tone of the light colors; if you “whitewash” the space, then you’ll notice a brightness that lacks depth and texture. Our tip is that if your walls or cabinets are lighter than the wood-look floor tiles, then be sure to pick a marbled pattern that includes some darker or richer elements than something like a near-white hickory. Transversely, in areas with dark walls or other elements, choosing a brighter, whiter flooring can provide incredible contrast. Opting for darker wood-look stone floor tiles is a bold choice that is, and has been for some time, incredibly on-trend. Whether you opt for a dark, rich wood-look, a red-hue, or even a rich marbling, dark flooring is easy to tie into just about any design. We only caution that your dark elements are never touching, but instead form a sandwich or solo element with a lighter feature; basically, if you have dark walls and dark flooring, opt for a light cabinetry and countertop in your kitchen for contrast. One other place to avoid dark wood-look floor tiles is in very small rooms or those that lack natural light, as dark flooring in general can have a shrinking quality. In expansive rooms, hallways, connected areas, and well-lit spaces, dark wood-look floor tiles will create a stunning look, especially when chosen to compliment trim, walls, and other eventual finishes in the space. 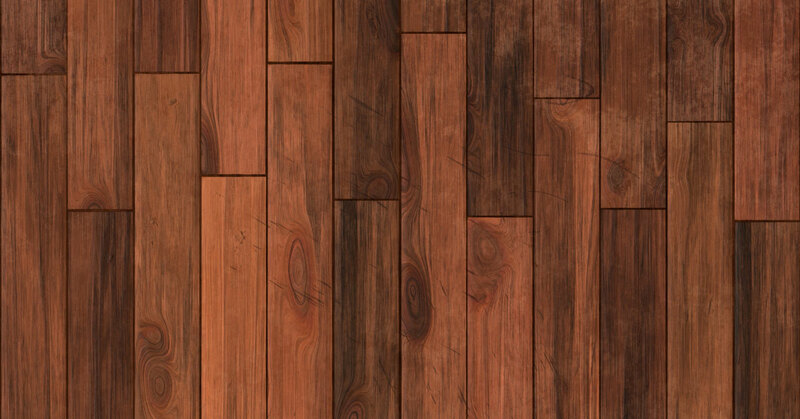 One of the major differentiators between hardwood and wood-look stone tile is the ability to imitate nearly any hardwood flooring at around the same cost, whereas the rarer woods can be well outside of anything but the largest flooring budgets. This can be seen easily in texture, as expensive hardwoods expertly wield texture to create a new dimension and depth to the wood, often transforming the look, feel, and even coloration that could be found in a similar smooth piece. With wood-look floor tiles, you can have pricey wood textures without the breathtaking price tag, all while enjoying the longevity and durability that stone tile floors offer. Since texture isn’t a color as much as a style choice, we recommend using it to add a rustic touch to a modern design or a slightly modern touch to a rustic design; in either case, textured floors work best in polarized designs where their usage feels deliberate.